JOTA 2017 Synth. Final files etc. 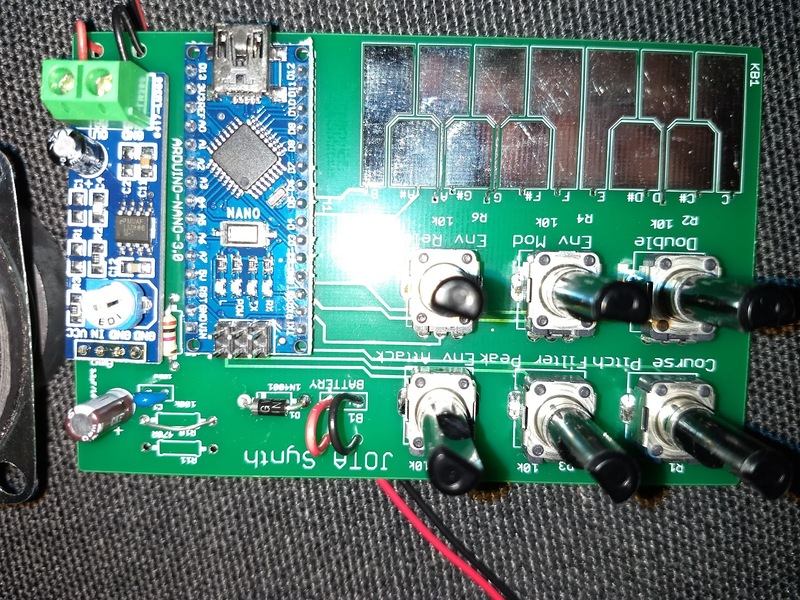 This years JOTA soldering project is a synthesiser. It is not particularly musical, but does make interesting sounds. The sythesisor uses capacitive sensing to detect when a key is touched. 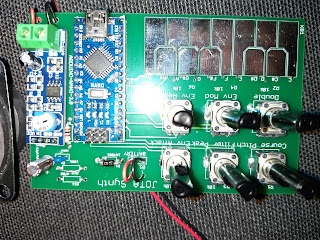 DCO (Digitally controlled oscillator): Coarse pitch and Double. DCF (Digitally controlled filter): Filter peak and ENVmod. ENV Attack and Decay envelope): Attack and Release affecting amplitude. The midificaitons are to use the Arduino Nano instead of 'raw' chip. 6 potentiometers to vary the sound. These are connected to analog inputs on the micro-controller to vary the sounds in the software. 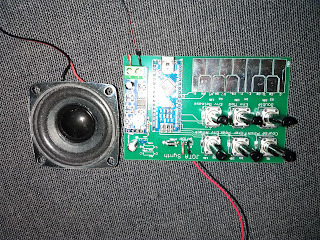 Arduino Nano running special DSP (Digital Signal Processing) code to detect key presses and generate sounds based on the potentiometer positions. 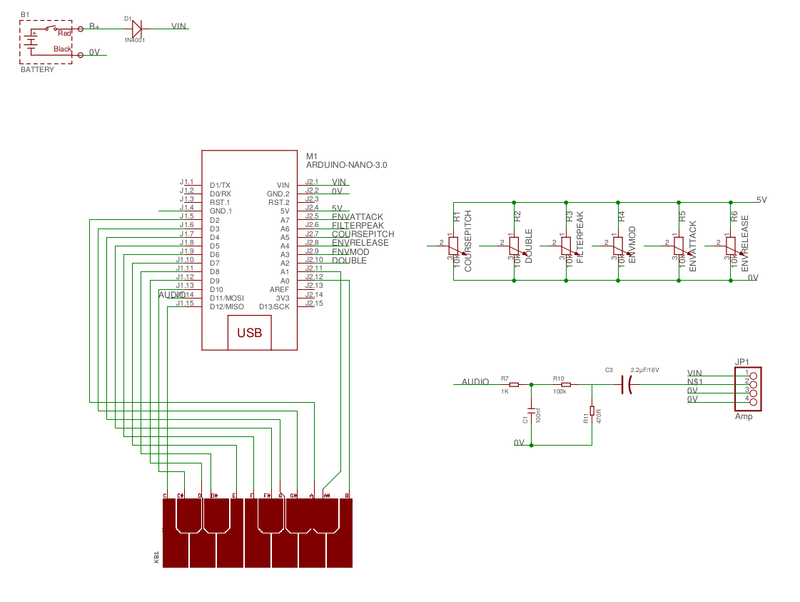 LM386 audio amplifier module to amplify the sound from the micro-controller and send it to a small speaker. The project is run from a 9v battery.